This video from 1967 is a MUST in order to comprehend and believe the evil conspiracy perpetrated on mankind by a small group of very rich people who wants to play God. This is the transcript of an address by Myron C. Fagan, one of the pioneer Conspiracy scholars of the Twentieth Century. It was recorded around the time God's Prophet, the late William Branham (Malachi 4:5-6 and Revelation 10:7) revealed the Seven Seals. I do not agree with everything Myron Fagan has said, however his scholarship and accute understanding is borne out by events of the past forty years, and much of what he says agrees with the words of the Prophet. (Editor's comments in italics and in brackets). "WHO'S WHO IN THE THEATER" has always been the Bible of the People in the Legitimate Theater. It never played Favorites, it told no lies, it Glorified nobody. It always was an unbiased HISTORY of the men and women in the—AND ONLY ONE—testing place of the Theater. BROADWAY: That "WHO'S WHO" records the plays Myron C. Fagan wrote, directed and produced . . . Dramas, Comedies, Melodramas, Mysteries, Allegories, Farces—many of them the most resounding "HITS" of their years. He arrived on Broadway in 1907, 19 years old, the youngest playwright in the history of the American Theater. In the following years he wrote and directed plays for many of the GREATS of those days ... Mrs. Leslie Carter, Wilton Lackaye, Fritz Leiber, Alla Nazimova, Jack Barrymore, Douglas Fairbanks, Sr., E.H. Southern, Julia Marlowe, Helen Morgan, etc, etc. He directed Charles M. Frohman, Belasco, Henry W. Savage, Lee Shubert, Abe Erlanger, George M. Cohan, etc, etc.. In the 5 years between 1925 and 1930 he wrote, personally directed, and produced twelve plays: "THE WHITE ROSE," "THUMBS DOWN," "TWO STRANGERS FROM NOWHERE," "MISMATES," "THE FASCINATING DEVIL," "THE LITTLE SPITFIRE," "JIMMY'S WOMEN," "THE GREAT POWER," "INDISCRETION," "NANCY'S PRIVATE AFFAIR," "SMART WOMAN," and "PETER FLIES HIGH." Politics, and he is a proven expert in all those fields. At the same time; Mr. Fagan launched a "ONE-MAN" crusade to unmask the Red Conspiracy in Hollywood to produce films that would aid that "ONE WORLD GOVERNMENT" plot. Out of that came into being the "CINEMA EDUCATIONAL GUILD." As a result of the work of this "C. E. G." organization (headed by Mr. Fagan, in 1947); came the Congressional Hearings at which more than 300 of Hollywood's, (also Radio and T.V.) most famous Stars, Writers, and Directors were unmasked as the chief activists of the Red Conspiracy. That was when the infamous "HOLLYWOOD TEN" were sent to prison. IT WAS THE MOST SENSATIONAL EVENT OF THAT DECADE! From that time on Mr. Fagan has devoted all of his time and efforts to writing monthly "NEWS BULLETINS" for "C. E. G." in which he has kept up the fight to alert the American people to the plot to destroy the sovereignty of the United States of America and the ensuing enslavement of the American people in a UNITED NATIONS' "One World Government." In his sensational recording (this transcript); he reveals the beginning of the One World enslavement plot that was launched two centuries ago by one Adam Weishaupt, an apostate Catholic Priest who, FINANCED BY THE HOUSE OF ROTHSCHILD, created what he called: "THE ILLUMINATI." 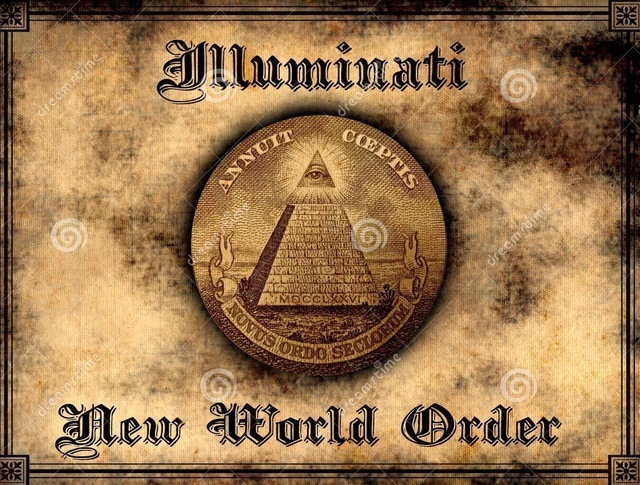 Mr. Fagan describes (WITH DOCUMENTARY EVIDENCE) how this ILLUMINATI became the instrument of the House of Rothschild to achieve a "One World Government" and how every War during the past two centuries was fomented by this ILLUMINATI. He describes how one Jacob H. Schiff was sent to the United States by the Rothschilds to further the ILLUMINATI plot and how Schiff plotted to get control of both the Democratic and the Republican Parties. How Schiff seduced our Congress and our Presidents to achieve control of our entire MoneySystem and create the Income Tax CANCER and how Schiff and his co-conspirators created the "COUNCIL ON FOREIGN RELATIONS" to control our elected officials to gradually drive the U.S. into becoming an enslaved unit of a "UNITED NATIONS" One World Government. In short this Recording (Transcript) is the most interesting and the most horrifying—AND FACTUAL—story of the most sensational plot in the history of the World. Everybody who loves our Country— who loves God—who would save Christianity, WHICH THE ILLUMINATI IS DEDICATED TO DESTROY—who would save our sons from dying on Korean, on Vietnam, on South African, and now on the battlefields of the Middle East, should hear this Recording. There is absolutely no doubt that anyone who DOES hear (read) this amazing story will join in the fight to save our Country and our Nation's Youth. Myron Fagan's recording took place sometime in the 1960's. Please take the time to "VERIFY" the statements made herein. We don't expect you to take Mr. Fagan's word at face value. We suggest that you visit the "Law" and "Depository" libraries located throughout your state.